Do you hear that noisy racket? Is that knocking coming from your front door? Now wait just a minute, this isn’t meant to be the first scene of a scary movie. We just don't want you to forget that your front door is your first line of defense against both New England weather and unwanted visitors. So what's the secret to deflect both more effectively? Custom storm doors. You know storm doors are important but is there really that much to consider when selecting the right one for your home? Sure, storm doors may seem straightforward, but after fabricating and installing countless custom storm doors over the years, we’ve compiled three crucial considerations that often go left unnoticed. 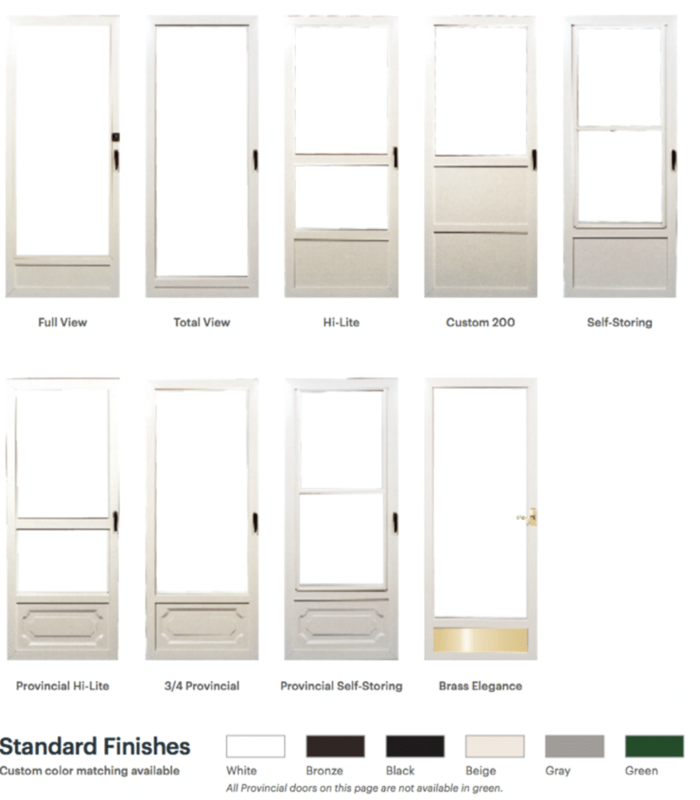 What are the Differences in Storm Door Materials? 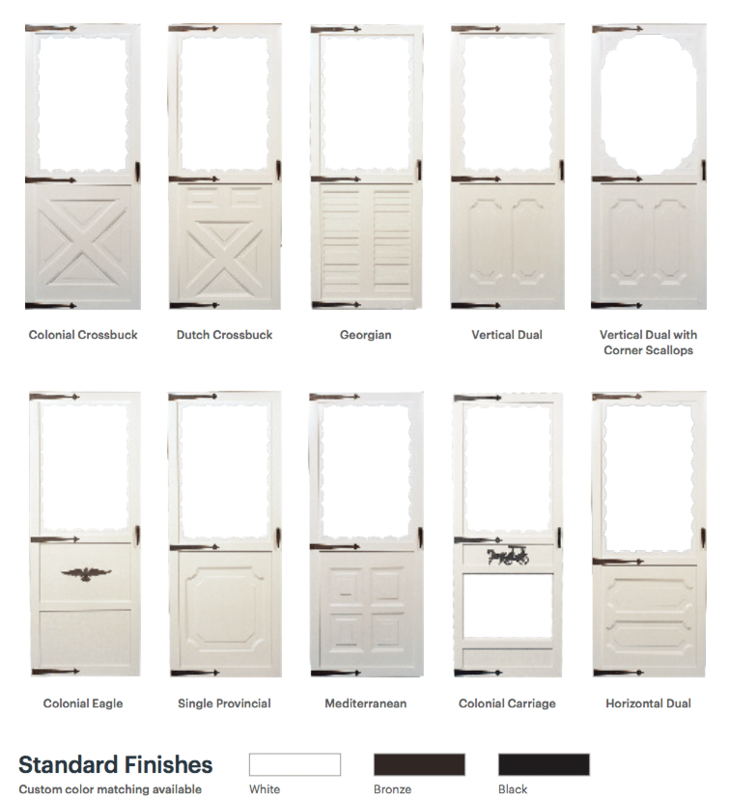 Contrary to popular belief, you can use custom storm doors to make a stylized statement. If you have meticulous taste and care deeply about what the quality of your home’s exterior says about you as a homeowner, you’ll want to give a second thought about the style and color of your custom storm door. It’s the equivalent of a first impression. How long do storm doors last? If you choose to go the custom storm door route, you’ll want to consider your long-term plans for home improvement and renovation. We covered some of the common styles and colors for your potential storm door above, but those are only two variables of a longer equation. Make no mistake about it, the look and overall fit of your storm door are important factors, especially when you consider it’s going to last at least 20 years. How fortified do you need your door to be (think about guests and pests alike)? Do you need your storm door to be insulated (reduces noise infiltration and increases thermal efficiency)? There are more considerations than first meets the eye when buying a custom storm door for your humble abode. Think style, sturdiness, color, material, and, most importantly, long-term fit.